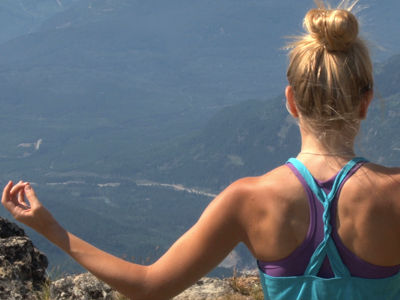 Sticking to a new habit can seem like an impossible task. Whether its a new diet, trying to go to the gym more or journaling, the momentum tends to be lost after the first week. 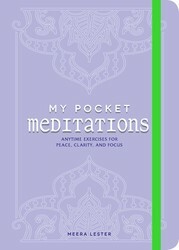 My Pocket Meditations by Meera Lester offers helpful tips to stay the course of your new habit. Choose a healthy new habit like drinking a bottle of water first thing in the morning instead of reaching for a caffeinated beverage. Experts say it takes twenty-one days or longer to break a habit or form a new one. For spiritual seekers, it’s worth noting that Eastern and Western wisdom teachers suggest aligning your personal willpower with that of the Divine and using faith and determination to stay the course. 1. Stand with your hands folded in prayer and set your intention. 2. Leave your palms slightly a part so the energy of the bad habit can flow away. 3. Lower your palms into open cups at your waist to receive the energies available in the Universe to help you establish the healthy habit. 4. Close your eyes. Adopt the Buddhist approach of resisting the temptation to think, feel, or do what is not beneficial and healthy. 5. Relax and summon your consciousness and dynamic will. 6. Mentally affirm your desire to align your will power with the will and power of the Creator. 7. Focus your thoughts on letting go of the old habit. Release it. 8. Affirm your desire and intention to make the new habit a part of your daily regimen. 9. Be faithful in your resolve. 10. Reinforce your intention throughout the day with affirmations, reminder notes, and images associated with your new habit. For inspiration on new habits to start integrating into your life, check out Break The Bad Habits that Age You.